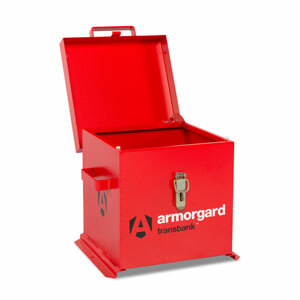 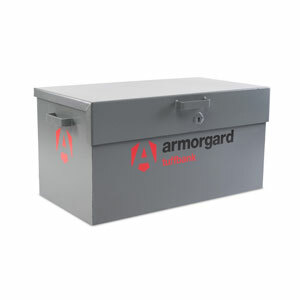 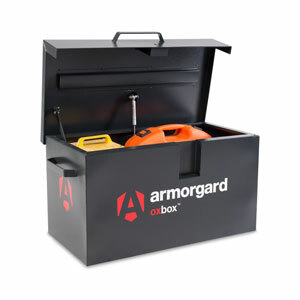 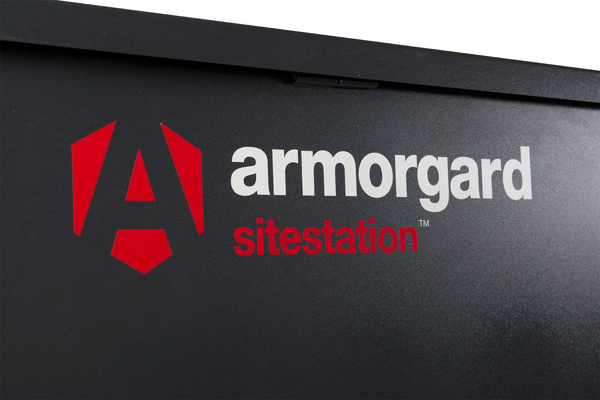 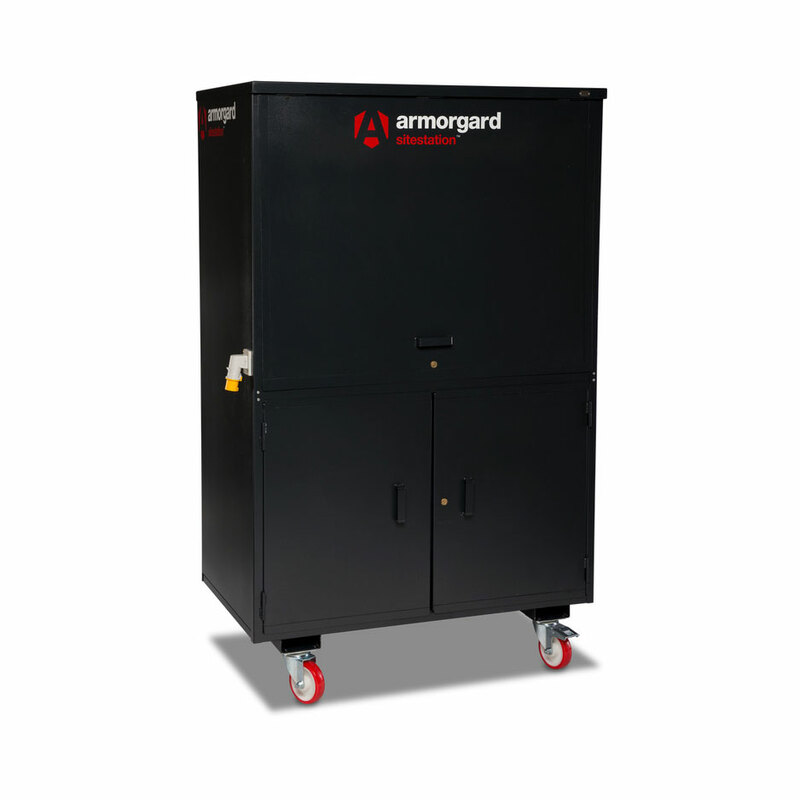 The innovatively designed Armorgard SiteStation gives you a convenient place for performing routine on site tasks, while also providing secure storage for your valuable equipment. 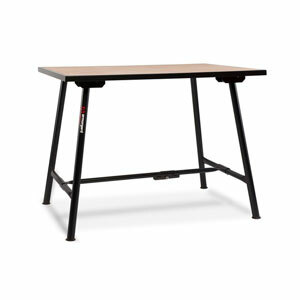 This versatile new work station comprises two spacious main compartments. 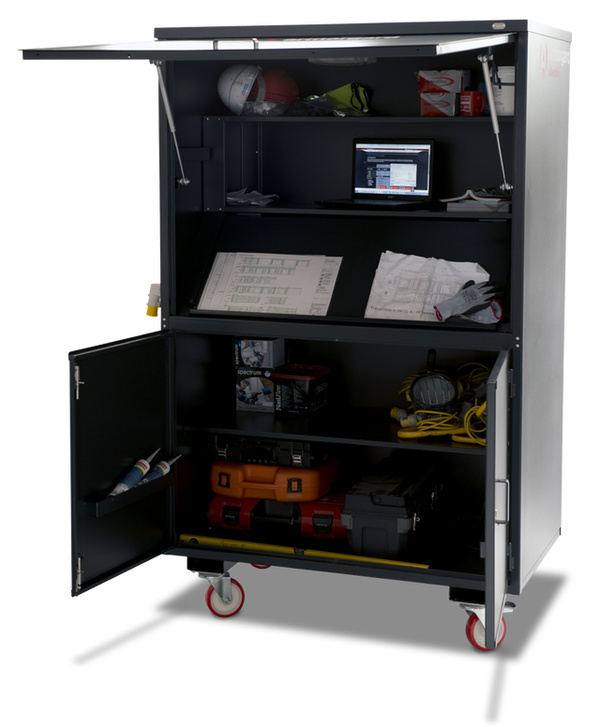 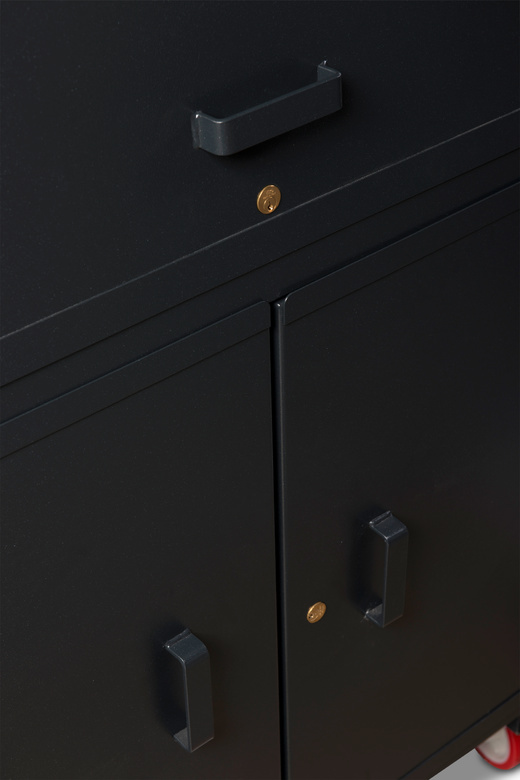 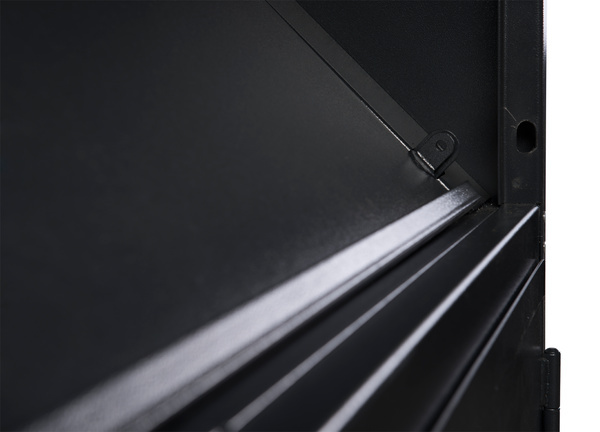 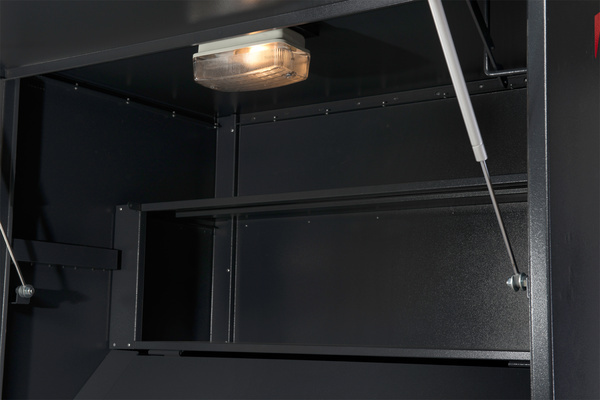 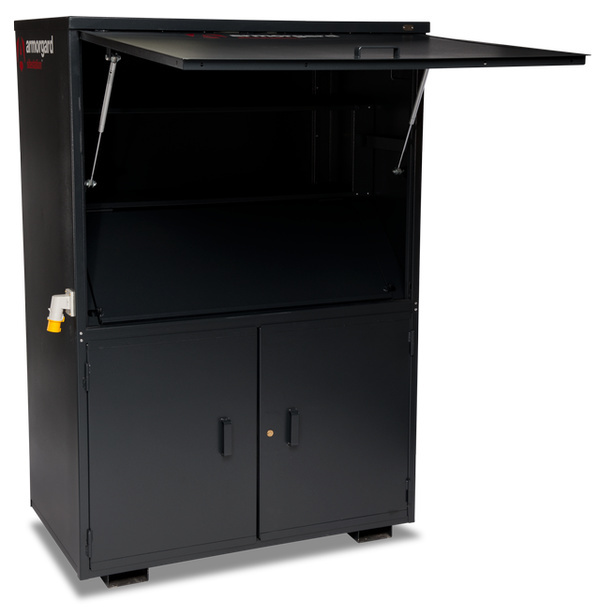 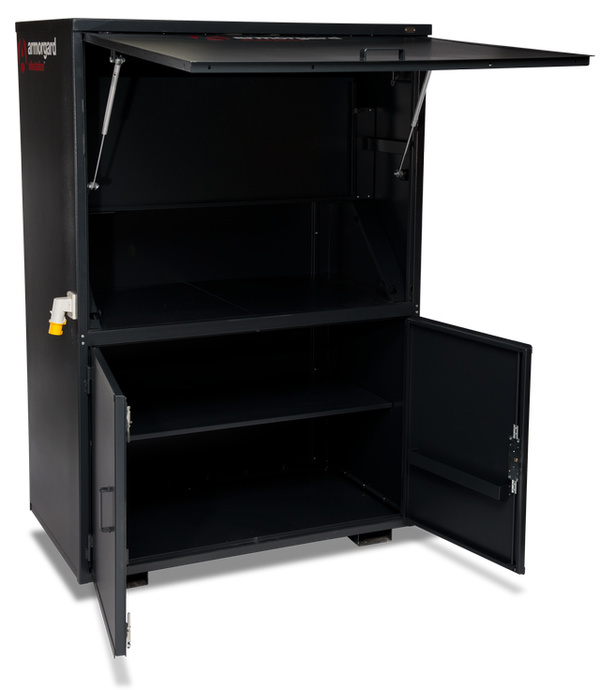 The top section features a folding slanted work surface – ideal for displaying plans and charts – which when shut provides an additional lockable storage area – ideal for power tools, PPE and fixings. 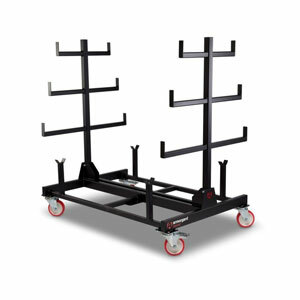 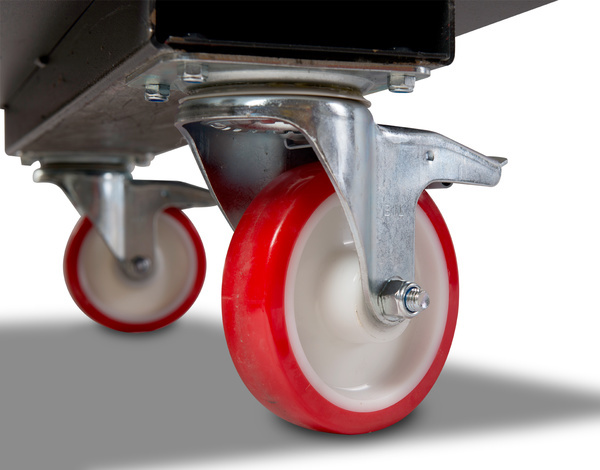 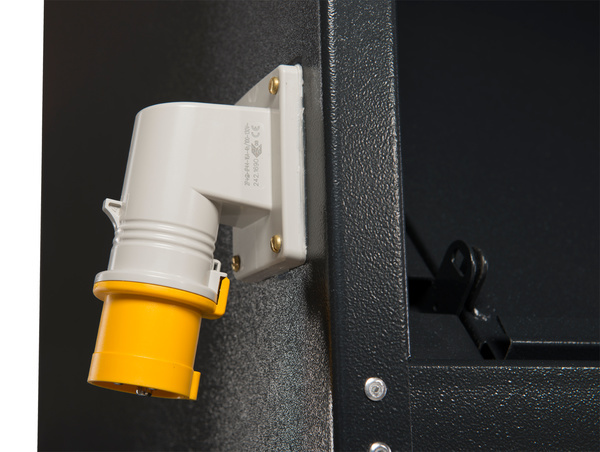 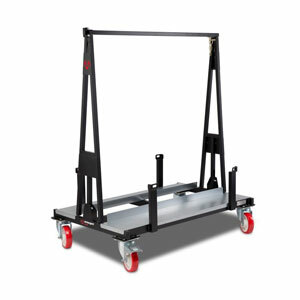 Optional extras include heavy-duty castors for easy mobility, and an internal light and power supply.